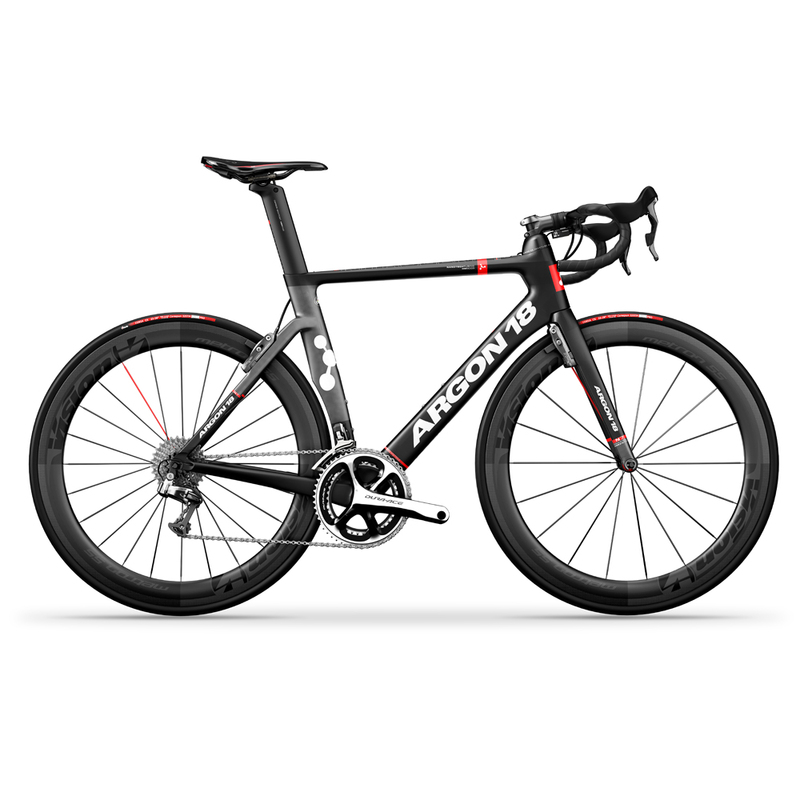 Argon 18 will stop at nothing to reach new heights of excellence. The Nitrogen, a bike that has already proven itself on the international circuit—including at the iconic Tour de France—is getting the Pro treatment: it is now equipped with a stratospheric level of aerodynamic and lightweight integration. Offered with the exclusive carbon monocoque AHB5000 aero handlebar system, a lightweight and easy-to-use cockpit that generates up to a 30% increase in aerodynamics over standard round handlebars, and unparalleled adjustability, the Nitrogen Pro pushes the limits of performance and optimal balance. Built to be the benchmark in ultimate aerodynamics. Reach new heights with Nitrogen Pro.